Front of home features Stucco, columns and a vaulted portico. 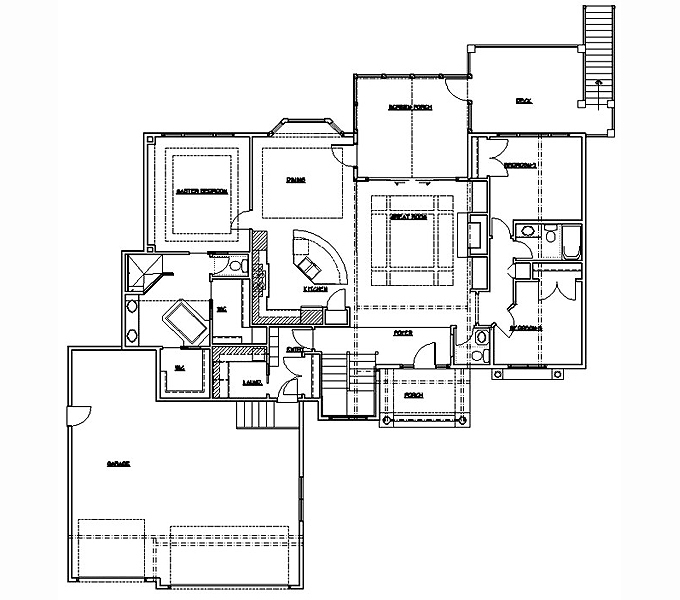 Main level floor plan features large Great Room with Detailed Ceilings, Gas Fireplace, Built-in Cabinets, Corner Hearth Kitchen with Large Island, Casual Dining with Stepped Ceiling and Bay Window, Master Suite with Stepped Ceiling and Special Wall Details, Master Bath with Whirlpool, Double Vanity, Vaulter Ceiling, Walk-in Ceramic Shower, His and Hers Closets, Separate Water Closet, 2 Additional Bedrooms, Full Bathroom, Power Bath, Laundry, Mud Room. 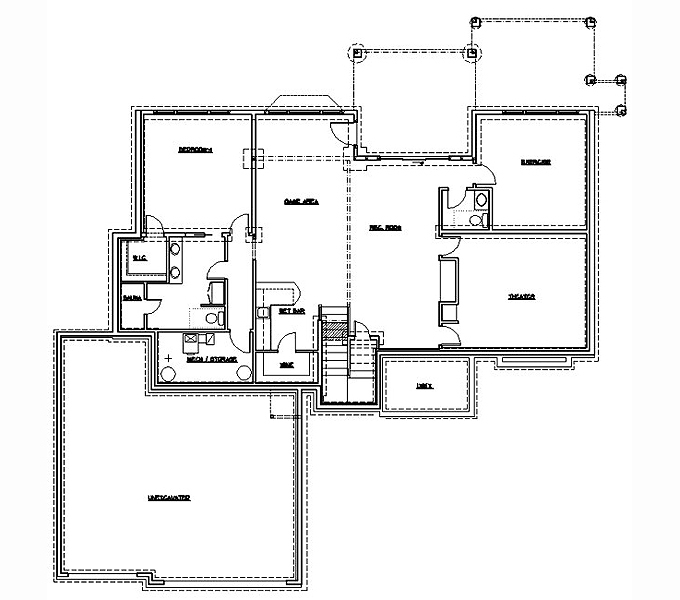 Lower level floor plan features Guest Master Suite with Huge Bathroom, Double Vanity, Steam Shower and Walk-In Closet. Large Theatre Room, Granite Tile Wet Bar with Custom Cabinets, Built-in Wall Over, Microwave, Dishwasher, Under Counter Fridge, Wine Cellar, Game area, Recreation Room, Gas Fireplace with Granite Tile Surround. Excercise Room/Bedroom and another Powder Bath. Mechincal Room and Under Stair Storage.